A beautiful musical comedy film starring the gorgeous Nayanthara. That’s how you’ll call this film post end title. The scenes are fresh, sweet and entertaining, and Vignesh Shivan’s feel for comic pacing is impeccable. Kadambari (Nayanthara) seeks help of second quality rowdy to take revenge on the first quality rowdy who killed her parents. Nayanthara as the hearing-impaired girl with tragic memories is the soul of the film. Check out Nayanthara’s eyes and face expression while ‘Vijay Sethupathi reveals why he hide ‘about her father’’. Awesome performance in a beautifully designed scene. The moment ends with the eyes left moist. She simply stares carefully at Vijay Sethupathi as he talks and it powerfully conveyed her pain. Claps to Vignesh Shivan. Vijay Sethupathi is impressive as usual in another unusual role. This is going to be the path breaking movie for his box-office run. Vijay Sethupathi a natural performer, one among a bunch of dancers and models, deserves to be on top. And there is Parthipan at his best form. He is the villain to add the humor. RJ Balaji did well too in a notable role along with Radhika and other supporting artists. Anirudh in the best genre he is comfortable with for background score – comedy and romance, even though it reminds of his own ‘3’, ‘Kaththi’, ‘Ethirneechal’ etc… Songs are very entertaining along with the film especially ‘Kannale Kanden’ and ‘Thangamey…’. Editing by Sreekar Prasad and visuals by George C Williams make the film crisp. READ Why you should learn Maheshinte Prathikaaram, and Thondimuthalum Driksakshiyum? There are times in this movie, you’d wonder if you’re watching a Tamil comedy film, or a Korean comedy film, the flow is like Kaveri but there is no loud shouts and creepy high volume Santhanam – Vivek’s mind-voices. The comic scenes are simple and not vulgar, emotional scenes are feelings and not melodramatic. The breaks from the comedy make the comedic scenes even more impactful. It is most likely to become a huge hit, because it’s not just a slap-stick comedy but a film with few memorable emotional scenes as well, Eg: Nayanthara talking via mobile with Vijay Sethupathi at Parthipan’s spot. It will attract repeat viewers and worth your time. 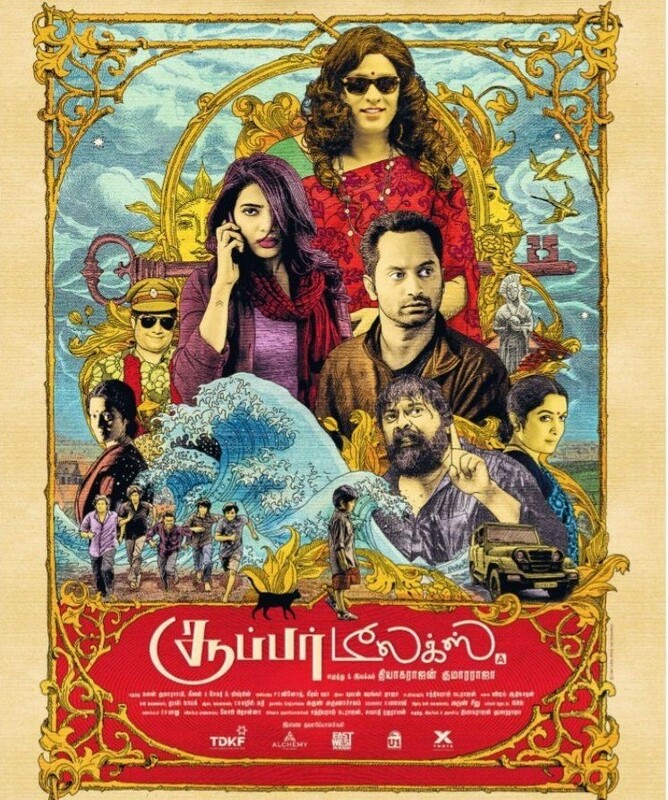 This is no Aaranya Kaandam nor Kuruthipunal but is like a good Bhagyaraj comedy film (Vijay Sethupathi scenes, especially the climax scene at Parthipan spot and the post-climax scene), like a Chaplin film with the right mix of comedy and tears (Nayanthara episode). Enjoy the fun, feel the emotion and watch the film again, repeat the same.